For those of you following my blog series based off some of my favorite movies the title won’t come as a surprise. I am really hoping that by combining my experiences from the user perspective with the best film plots that it will be informative and entertaining. This month I wanted to circle back with you and give you an update on how our implementation has been going. We went live in April of this year in D365 from an outside legacy system and a handful of other small software programs. We kicked off our restart in January of 2018 and forced ourselves to go live on a compressed timeline of 12 weeks. For the record--I don’t recommend this to anyone! Now that your caught up on the basics let’s jump in to our campfire story. 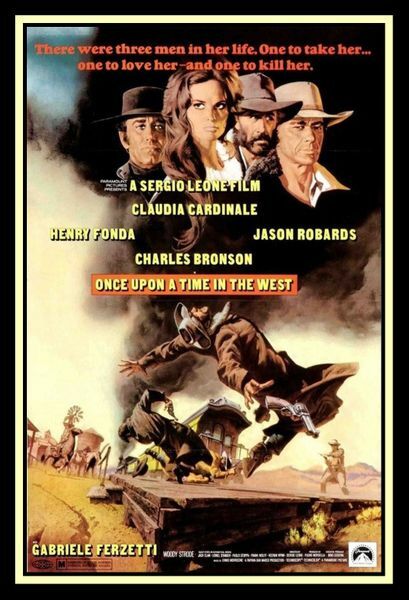 If you have never seen the 1968 production of Once Upon a Time in the West, I strongly encourage you to watch it. You will need to set aside 3 hours to do this and I don’t want to spoil too much of the movie for those of you who haven’t seen it. First, you should know that this film has multiple plot lines focused on multiple conflicts. It reminds me of an ERP implementation in the sense that this movie goes on for a long time and you are listening to one of the best soundtracks all while trying to figure out what is actually happening. It is an epic tale of loyalty and mystery. And in the end justice is served up cold as it should be in any western film. Our implementation and subsequent go-live started out just like this movie. With more than one dead body and a few troughs of despair we had to learn how to climb out of. Here are some tips we learned from our go-live. Confirm planned functionality can be achieved in your time frame. Verifying your configurations and ensuring the functionality sought after is achievable in a shortened time frame. Don’t wait to validate. Data migration is a difficult task on its own. Make validating the data migration immediately after go-live a priority. Don't get caught up in doing the day-to-day operation and put this off. Ensure your configurations support your objectives. During implementation key decisions and documentation of configurations must be captured at the level and consistency required of an ERP implementation. Just capturing that the decision was to turn on a setting won't tell you why you made that choice and if it aligned with what you were trying to achieve. Don’t cut corners with testing and training. Minimal testing and training were done prior to our go-live which resulted in having to do those things after go-live. This caused sustained conflict trying to manage the correction of a process and teach people how to do something different than they were originally taught. Don't skimp on these items. They are too important to your businesses success. Plan for change. Be prepared to manage the change requests early. Although many get a handle on this process of request and control it usually doesn't happen until later in the project and the price of that could be having to redo things that were already deployed. You can’t just shoot from the hip. There are going to be competing priorities no matter how your organization decided to implement the system. Each one may be just as important as another, but the trick is knowing HOW you will determine the priorities and impact to the overall business.Make some ground rules, and org chart or decision matrix which will define how these will be decided. Communicating regularly and candidly should be done during your go-live. Someone once said, “theories become tested in combat”. Going live in only 12 weeks forced us to select the things that we needed to deliver. I strongly encourage you to communicate out to your users how difficult the implementation will be if you are on a short timeline. Supporting users post go-live and gaining their trust that we continue to remain committed to evolving the system to meet their business requirements has been our focus these past few months. We are an ESOP organization and being employee owned means everyone is an stakeholder and, consequently, has a say in how the business operates; so we take our responsibility to them very seriously when things aren’t going right and hold ourselves accountable to do better. Even if your not an ESOP acting like one could be one way to achieve accountability during your implementation. The best quote from the movie is, “How can you trust a man who wears both a belt and suspenders? The man can’t even trust his own pants.” In this scene an outsider is questioning why the group of outlaws follows such a man. From his perspective they are following the wrong person. Trusting your leadership to guide your implementation is only half of the job. Communicating critical items, how to perform tasks, and being available to your users post go-live is how you earn trust and climb out of the trough of despair quickly. Lead your implementation team by setting the example and don’t be afraid to ask tough questions. I hope you find these tips useful. If you are going through an implementation, or just survived one, please comment and give some feedback on any items you experienced. I look forward to meeting more of you at a chapter meeting, inside the user group, or come visit me at Summit Phoenix. I will be heading up the West table at the first-time attendee’s welcome session, moderating sessions, and manning the chapter maps. I hope to see you there!